My husband and I have our usual Friday Night date at Pomodori Pizzeria in our neighborhood. It is so convenient, because we can walk there, we always get a table (due to mostly delivery service), and we can bring our own bottle of wine as well. Here is a small selection of what we have enjoyed over the last few months. 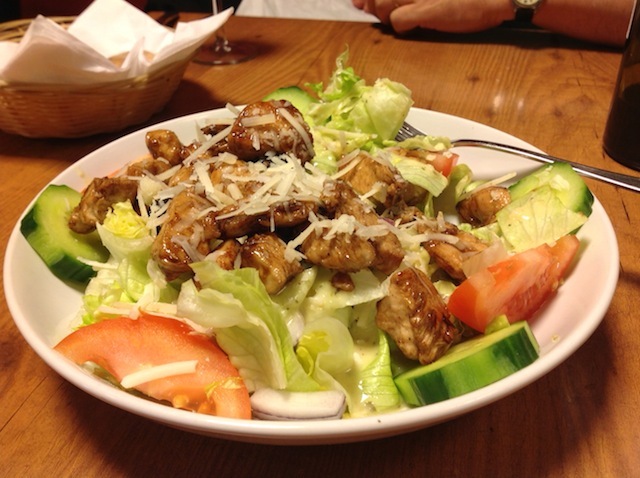 I also like their Insalata Greca, Lasagna, or Pizza Margarita. 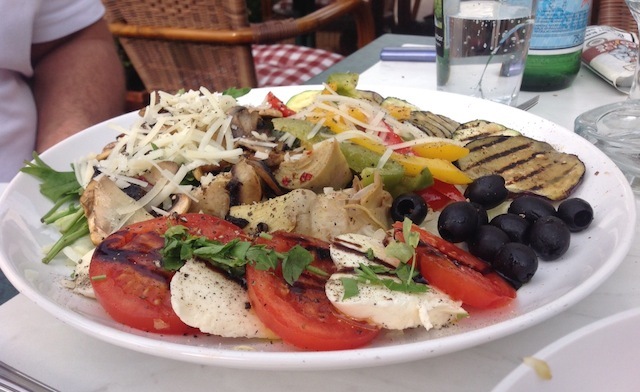 To see more from them, visit the website Pomodori Pizzeria. Some of you might know I love Korean food. 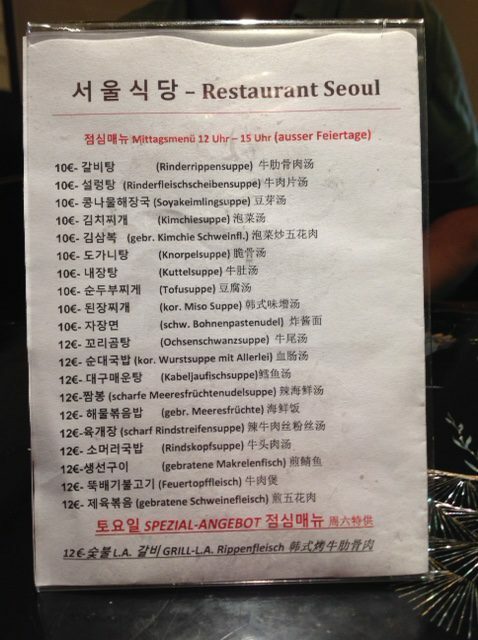 If I ever had to choose my Henkersmahlzeit (last meal), it would be Korean. 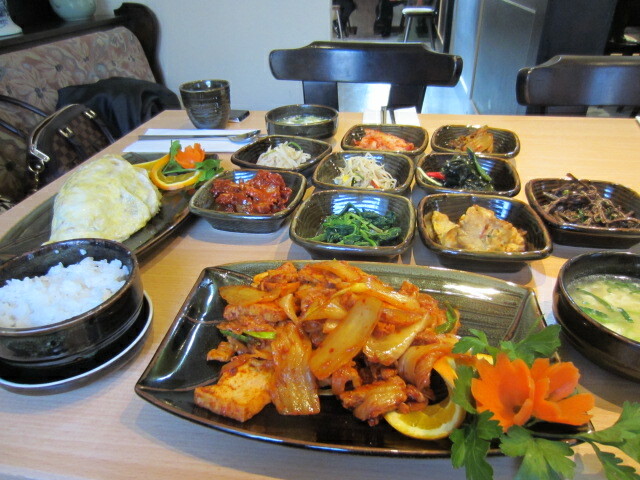 My favorite Korean restaurant is Seoul Restaurant at Hohemarkstraße 194 in 61440 Oberursel. 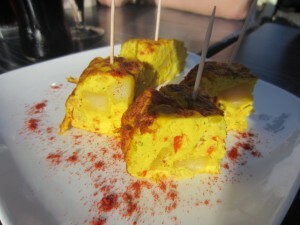 It serves very good food, is in walking distance, and I find the service excellent. Being Korean style service, the lunch menu usually gets served within ten minutes. Or even less. Some of the Mittagstisch (lunch specials) prices have gone up from euro 10 to euro 12, but you do get a lot for your money. The lunch menu was initially only in Korean, but now they’ve added German (which needs improvement), and Chinese. This photo shows Kimsambok in the foreground and a Fried Rice Omelette with seafood (listed as gebr. Meeresfrüchte), which is the big yellowish dish on the left. 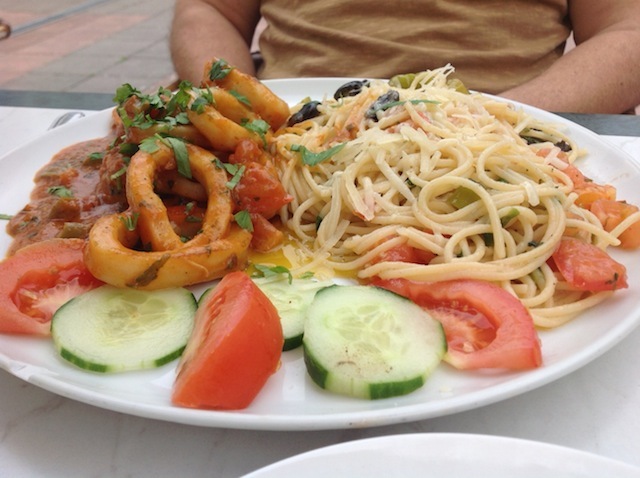 All lunches come with side dishes. The photo was taken a while back, since then even the plates have changed. Koreans generally do not tip the service staff, but I always do. I used to be a waitress in my younger days, and so I do appreciate their hard work. And they do smile, when they see me. 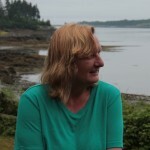 Yesterday evening, we came upon the Restaurant Le Crabe Tambour by chance. Well, most other restaurants were still closed and this one offered us a place to sit down in the sun, while serving drinks until the cook came in at 19:30. We had a very efficient and friendly waiter. Not only did he have the time to talk to us and give us some tips, but he proved to be efficient later on as well when the restaurant was really full. He was very helpful answering our questions about the menu, the wine was good, and the food was served in a timely manner. We had the menu for 25 euro, from which we could choose one each (three selections in each category) for the entrée, main dish, and dessert. To help ease the wait, we got some tortilla and olives. As we were the first ones to arrive, we had the board menu all to ourselves. 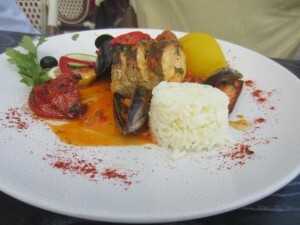 One of the main dishes – white fish and mussels. For dessert, we sampled all three choices: apple pie with ice cream, Crème Brûlée, and the Coup Colonel. The latter one made us all go Oh, la, la.. after taking a taste of it. It was like a Caipirinha with a bit of sherbet in it. We walked home, by the way. This was a grand culinary experience in terms of food quality, service, and ambience. Very recommendable. 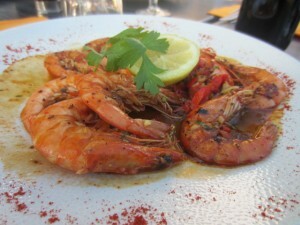 Note: The restaurant was named after the famous 1977 film Le Crabe Tambour, where the owner was the cook for the film set. 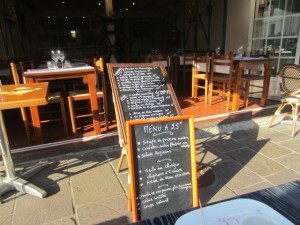 You can also leave a comment/review about the restaurant here or on Lonely Planet.